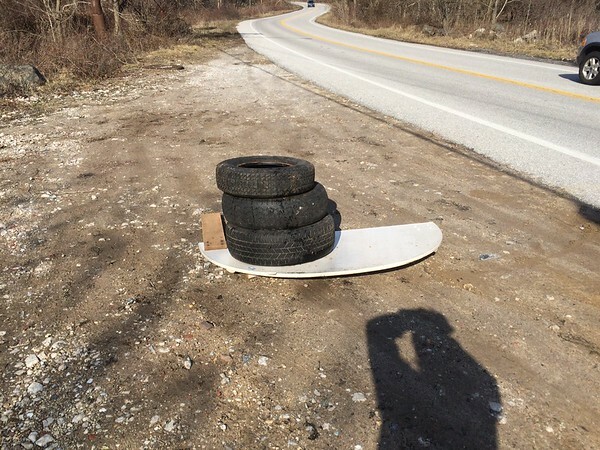 3/15/2015, Jon Merryman, Patapsco River Watershed, AA County, Hammonds Ferry Rd at the bridge, Headboard and three tires, Tires are recent. Headboard has been here under the snow for a while. Estimated weight 80 pounds.